Thanks for everyone who commented on my previous post. I'll be filing Evo bugs starting immediately. It just was that all the bugs seems o annoying that I blindly assumed they should have already been filed. Afterall I can ear a good part of a bugzilla point filing them. That doesn't mean that I stop this series of posts though! This hit me again right now, so I let it out. Number 2 Evo annoyance for me coming from a Pine background. As I said already, I unset the "Hide Deleted Messages" option in the "View" menu, and expunge manually after going over my incoming mail and deleting those that don't need any further action. And the thing takes its time to quit. Evo Tip of the Day: killall + bash-completion is an Evo user's best friend. Moreover, other than the "Close Window" option, there's also a Quit option in the same File menu, and that's got a ctrl+Q shortcut. I really cannot understand the different between Close Window and Quit. Actually I thought I do. I opened a composer window and chose Close Window in the main window, expecting that maybe my composer is not closed... but it was, and Evo quit. So, for the reason stated in first paragraph I suggest removing the Close Window menu entry and its shortcut from the main Evo window. As I mentioned in second paragraph, that option has not been any useful functionality anyway, so removing shouldn't cause any harm. The composer and individual message views should still have "Close ctrl+W" like they do currently. Evolution team know that english is not the only language in the world ?! Say, do the junk filters actually do anything for you? I tried to use evolution with an old email address which receives something like 100 junk mails every day but only one or two HAM mails. The junk filters of evolution filter virtually nothing; instead downloading of messages takes almost forever, taking up all the CPU time ( oh, no: not even all, just 50% since it does not even use the other core ). Even after training, there is almost no notable effect. So I switched to Thunderbird for this account: Trained for some 50 mails and it filtered all the other mails reliably in just a few seconds. It even managed to import 6000 old emails and filtered them for junk - an operation which is just impossible with Evo junk controls. I wonder if I am the only one where the junk controls fail??? I mean: This is the most important feature of a todays email program. Now if only they would fix their 64bit unsafe memory allocation so that it would actually start.. *sigh* get the basics right please. The fact that my bug titled "evolution allocates 65GB of memory then pages to death on amd64" *with patch* has been around for 6 months has convinced me that there is no value in filing evolution bugs. 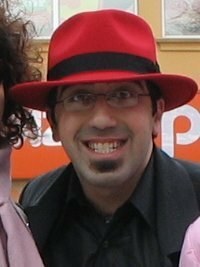 david nielsen: normally matthew files the redhat bugzilla downstream bugs to upstream gnome bugzilla, so they can be handled. Ok, bug filed with suggestion. "evolution --force-shutdown" is by no means better than killall evolution. The trick is the bash-completion package. All I have to type is "killaTAB evTAB". A total of 10 keystrokes. Compare to 21 for "evoTAB --force-shutdown".